Our lodging is a modern 4000 square foot home, with eight bedrooms, 3 full bath, 3 complete fully equipped kitchens, along with satellite television and wireless internet. 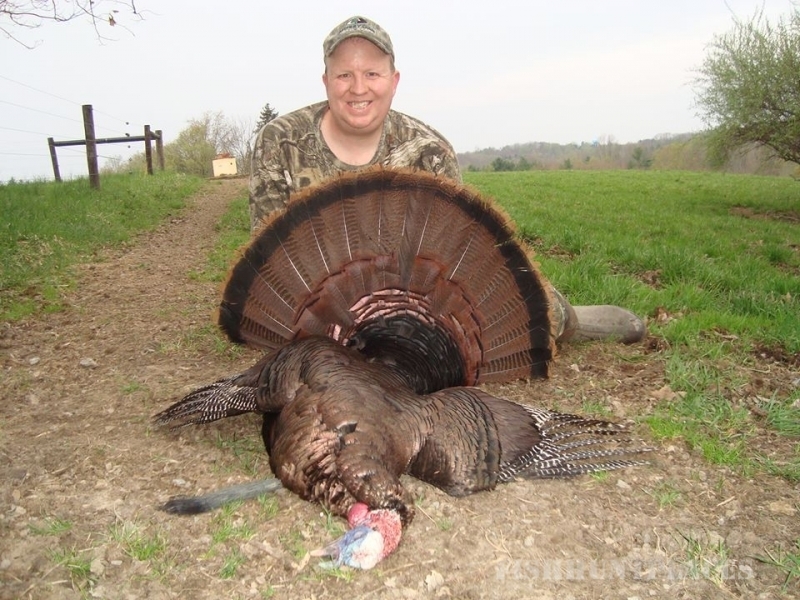 Whether you book a guided or unguided hunt your lodging will be clean and comfortable and we furnish all the towels and linens. Our bedding is washed scent free and we have scent master units in the bedrooms to keep your hunting clothes scent free on your hunt with us. We hunt all private land with mineral licks, food plots, crop fields and white oak ridges, and some very dense thickets. The terrain is mostly rolling woods with old farms, river bottoms, wooded ridges and finger woods between crop fields. We have enclosed blinds, ground blinds, hay bale blinds and shooting houses for you to enjoy your hunt on those rainy days. Our stands are Millennium and Muddy brand stands, some ladder and some hang on stands all with the big comfortable sets to make it comfortable enough to sit all day. All hunting is done fair chase with no fences, we are here to offer true sportsmen a chance to harvest a mature free ranging trophy whitetail buck. 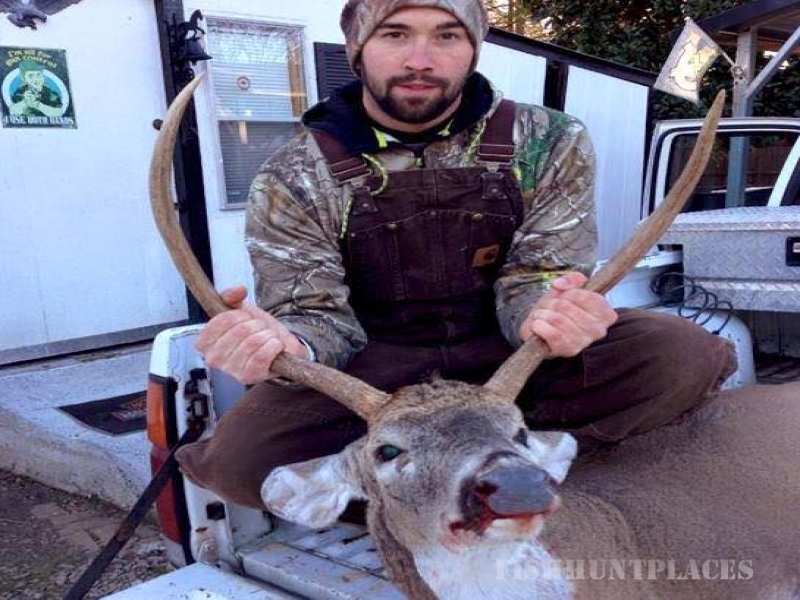 We have a 125 minimum buck harvest on all our farms and no trophy fees on the larger bucks. 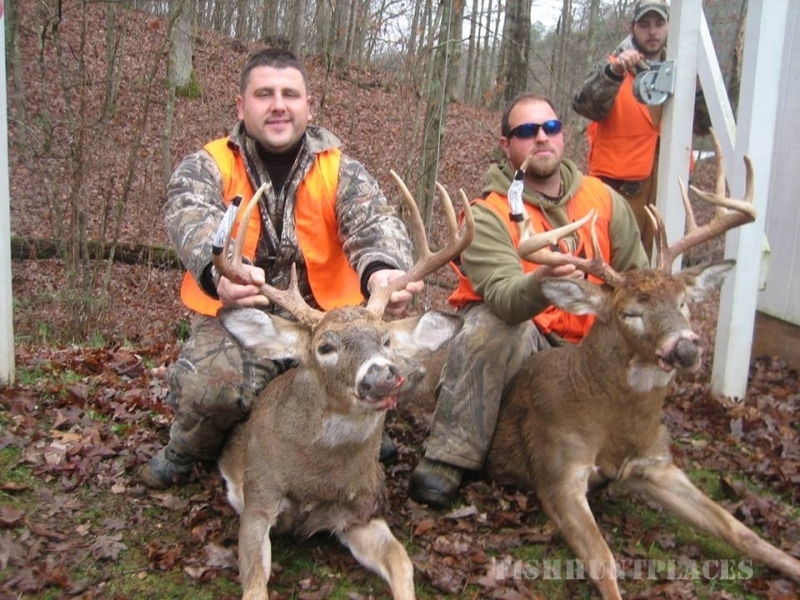 We see many bucks from 135 to 170 with a few real monsters running around, which is why you hunt Ohio! 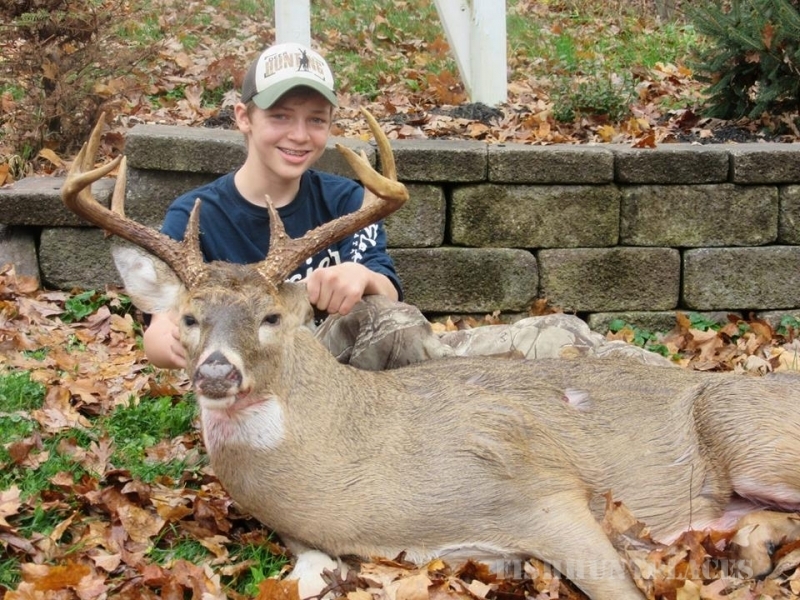 We want to be your destination for hunting trophy deer. 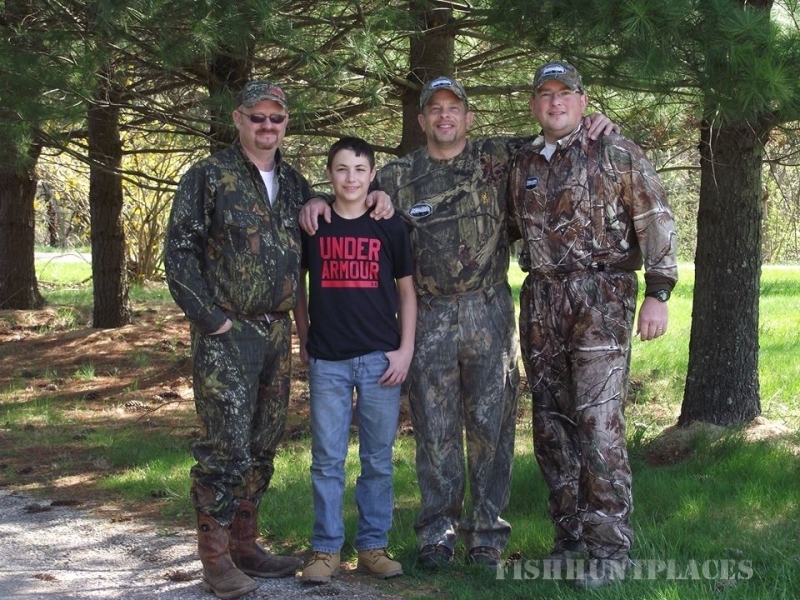 Many hunters come back year after year and have become family. We do reserve the right to cancel a hunt do to conduct, breaking our rules or violation of any game laws. We are full time outfitters and are on the land all year, we run trail cameras, shed hunt, glass crop fields and add new land every season to ensure our hunters get the best chance to harvest that trophy buck. 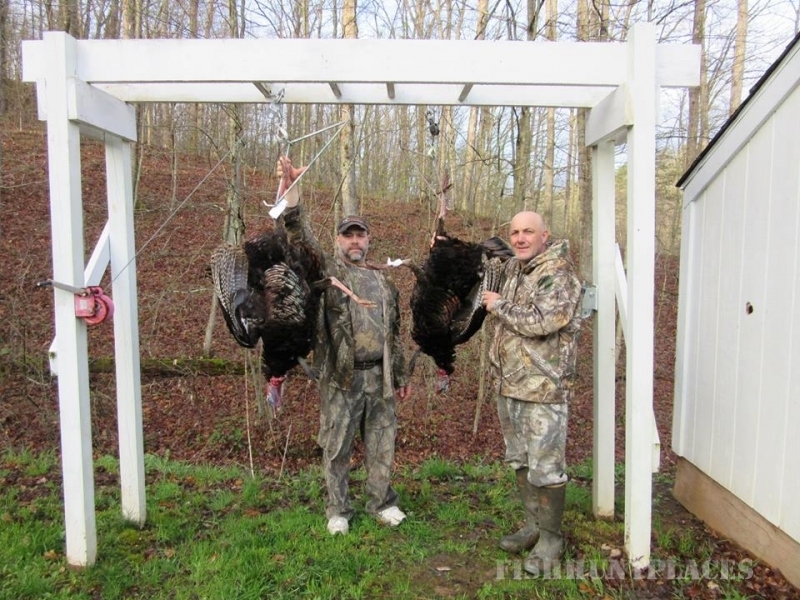 We also offer some cabins for hunters who want the more rustic lodging. We have a place to process your deer onsite or a close by processor that will cut, wrap, freeze and cape your mount for around $80. Also be sure to check your states game laws on bringing the deer home, many states now require them to be processed prior to bringing them into your home state. 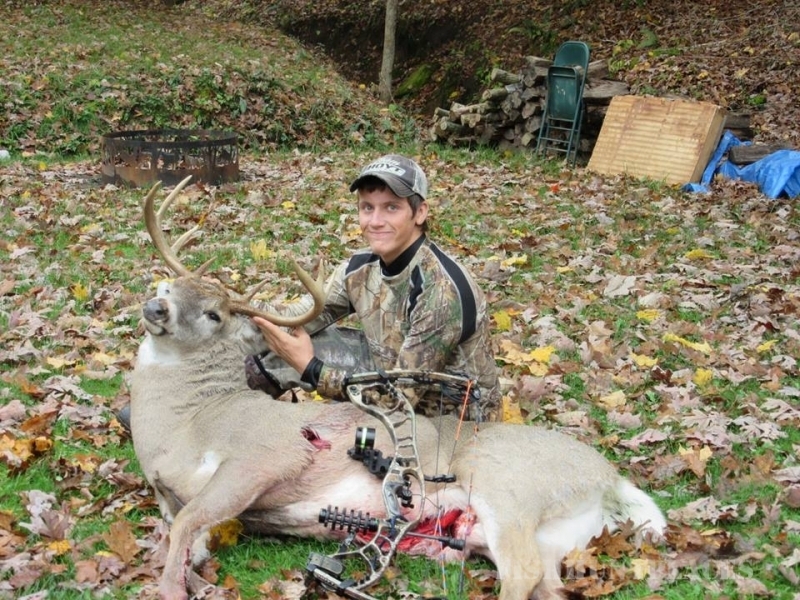 We also have quality taxidermist close by to mount your deer. Ohio licensee can be bought on line with no draw at ODNR.gov. We also offer quality land leases in 9 counties. We cannot guarantee that every hunter will harvest a deer, but we strive to make sure you have great lodging, lots of fun and will be treated like family. And we will not put a hunter in a stand or spot that we would not hunt ourselves and that we have not already seen or have pictures of a mature trophy. We look forward to seeing our regular clients in camp this fall along with many new faces.